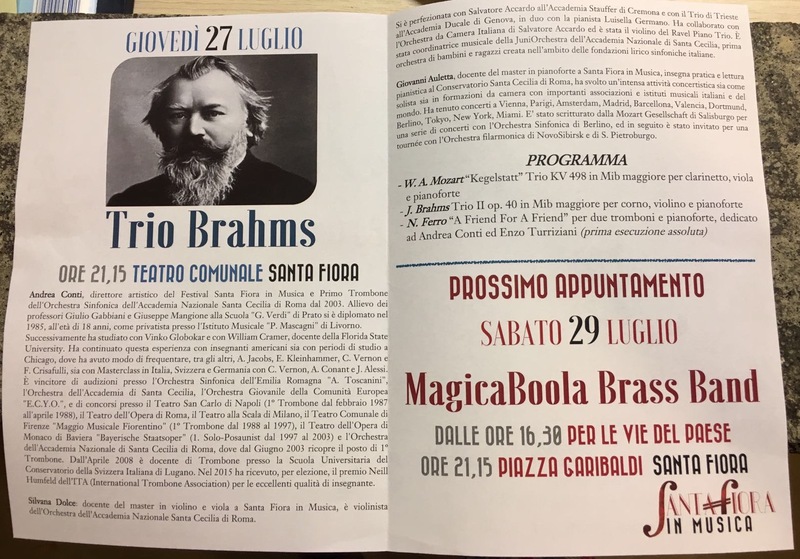 Time 20 minutes – 8 part – 6 tenore trombone , 2 bass trombone. Nicola Ferro creates a wonderful arrangement of one of the most famous of arias from Puccini’s Tosca. 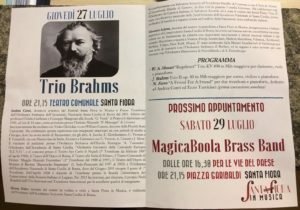 The trombone provides the powerful vocal line of Mario Cavaradossi as he waits for his execution, while the cello and piano expand the somber texture. An aria that all should be familiar with! 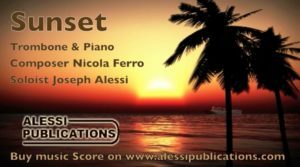 Another exciting work from Nicola Ferro, composed for Joseph Alessi at the 2016 Alessi Seminar. 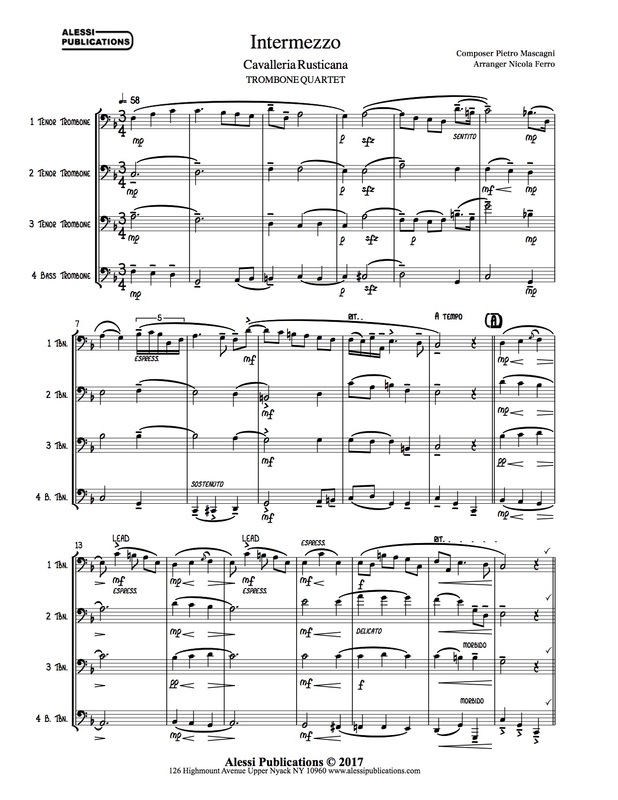 Powerful melodies and strong textures define this great piece for solo trombone and 12 part trombone choir. 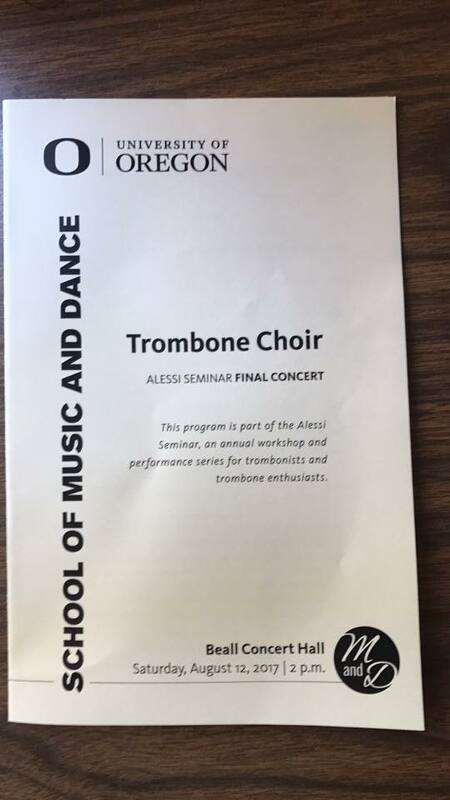 An exciting, massive new work for trombone solo and trombone choir! 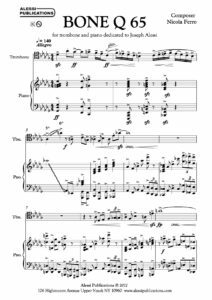 This 3 movement piece is replete with challenging time signatures, rhythmic complexity and engaging interplay between parts. 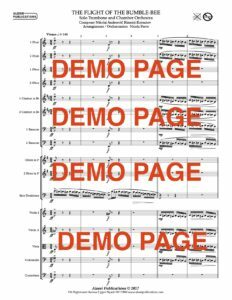 A perfect piece for the ambitious trombone choir! 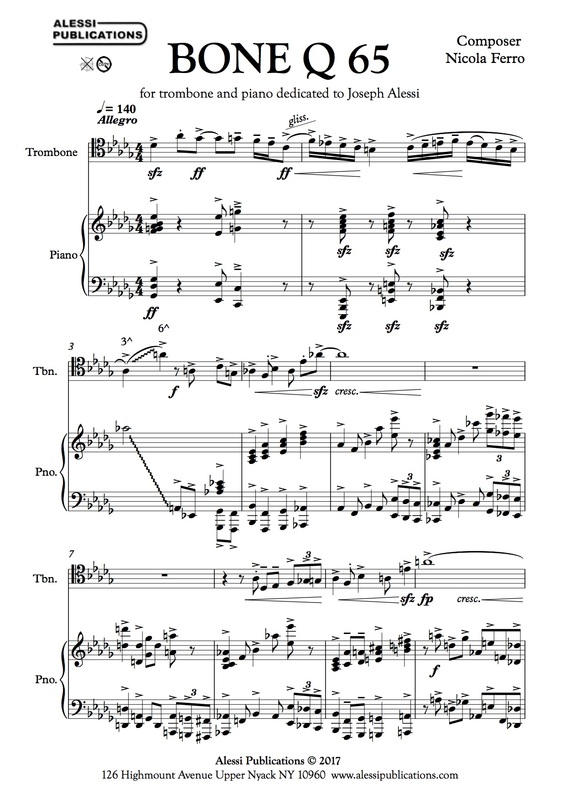 A dramatic, dynamic piece for Trombone and Trumpet, and Piano! Strong melodies and intense technical passages make this a great selection for brass players. 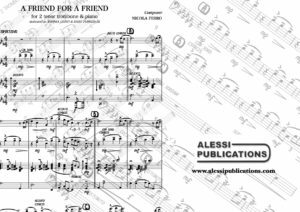 Composed for Daniele Morandini on trombone Yigal Meltzer on trumpet. A wonderful song Nicola Ferro intended for to be played for children. 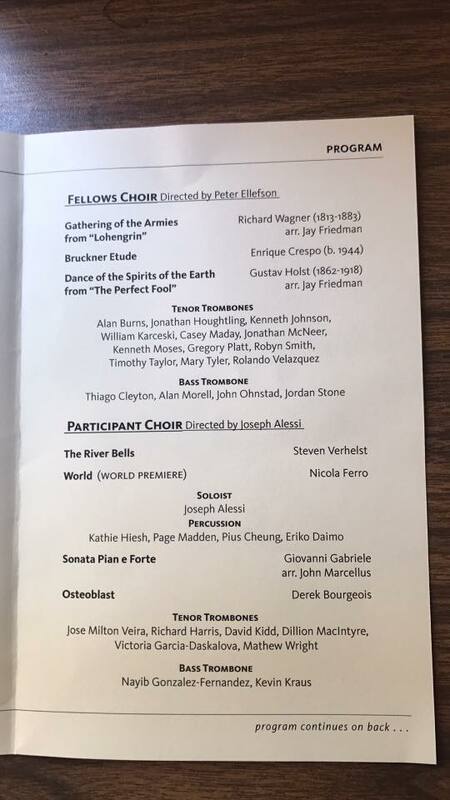 The trombone ensemble is gentle and beautiful in this peaceful work. 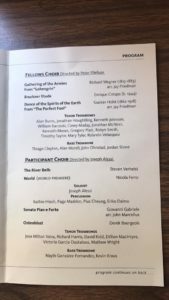 An AMAZING work Written for VLADIMIRO CAINERO and premiered at the International Horn Society’s Mid South Workshop. 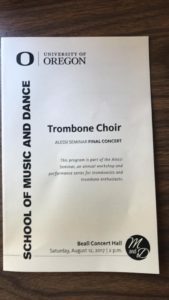 A steady, relaxing solo for trombone and latin band. Very soulful! A great duet for two trombones with latin band accompaniment! Very fun for performers and audiences alike! 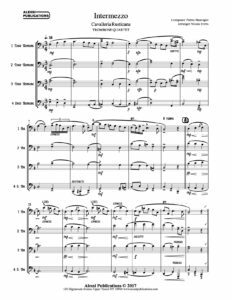 A dramatic melody and lush harmonies make this piece a true treat for solo trombone and trombone ensemble. 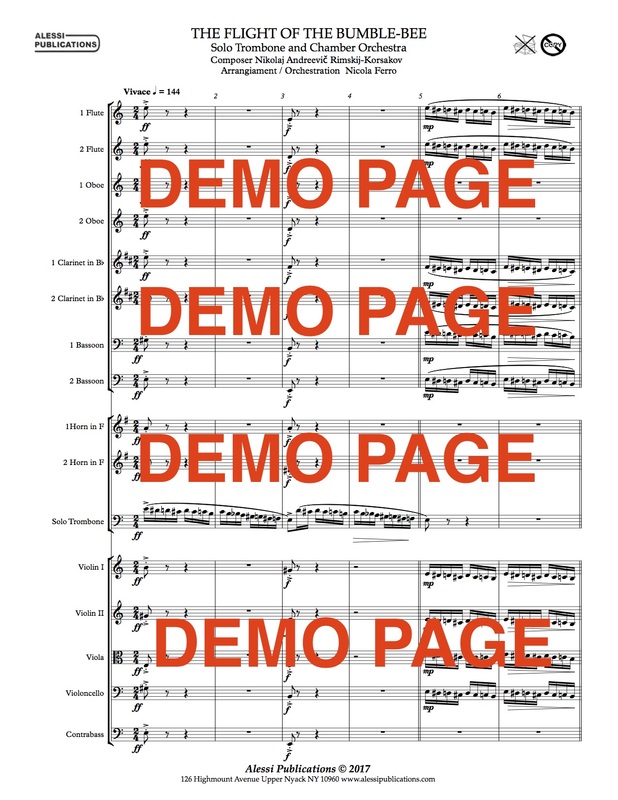 A powerful new piece for brass quintet, with engaging rhythms and intense dynamics. A beautiful and tender lyrical section wraps up this outstanding work! An intimate, reflective trombone solo on the “Caliente” album. With electric piano, guitar, bass, and drum set. A relaxing, beautiful work. A wonderful trombone solo on the “Caliente” album. Piano, guitar accordian, strings and percussion accompany a singing trombone melody. Commissioned by Dr. Jonathan Whitaker for the 2009 Alessi Seminar. 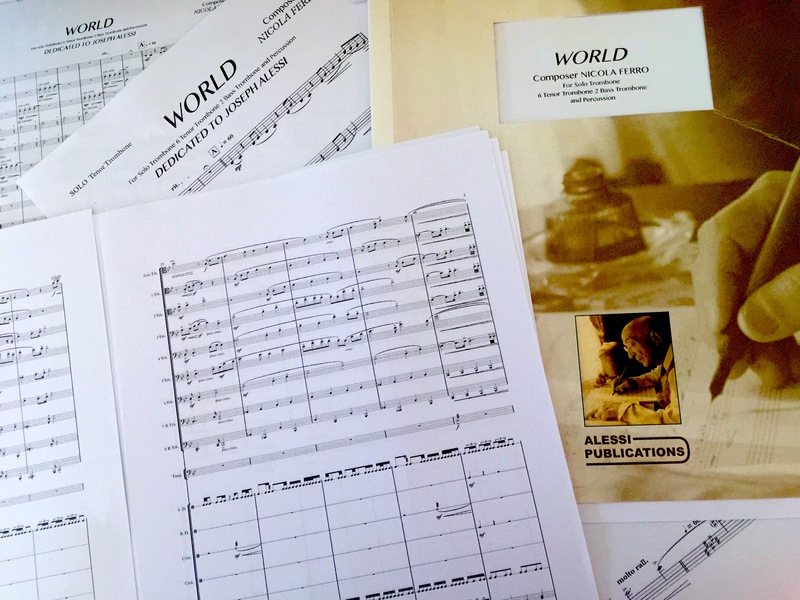 A fantastic composition by Nicola Ferro! 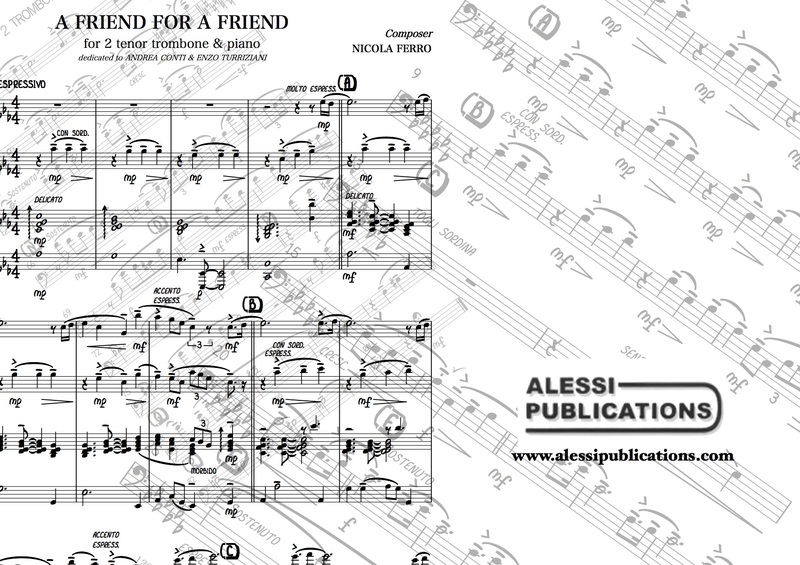 Composta per JOSEPH ALESSI & CHRISTIAN LINDBERG.